What it is: For those of you not up on the latest in all things Chevrolet Cruze sedan, there are actually three versions currently in the news. There’s a short-lived face-lifted 2015 model for the U.S., plus two versions of the next-generation 2016 model, one for the Chinese market and one for us, which is shown here nearly undisguised. Why it Matters: The Cruze is a big-selling car both in America and globally, so getting the next one right and maintaining that momentum is critical. The unique front end seen here also shows that the General is tailoring the appearance of the car to the markets in which it will be sold. We don’t expect to see many more versions of the nose crop up, but it’s nice to see GM avoid taking a one-size-fits-all approach to styling. Platform: The Cruze cruises along on GM’s flexible Delta II platform, which underpins many a compact automobile from the General, including the Buick Verano. Powertrain: It’s possible some of the current Cruze’s engines could carry over, but the most likely candidate there is the torquey and powerful 2.0-liter turbo-diesel, which would continue to give Chevy a foothold in the diesel market in the U.S. 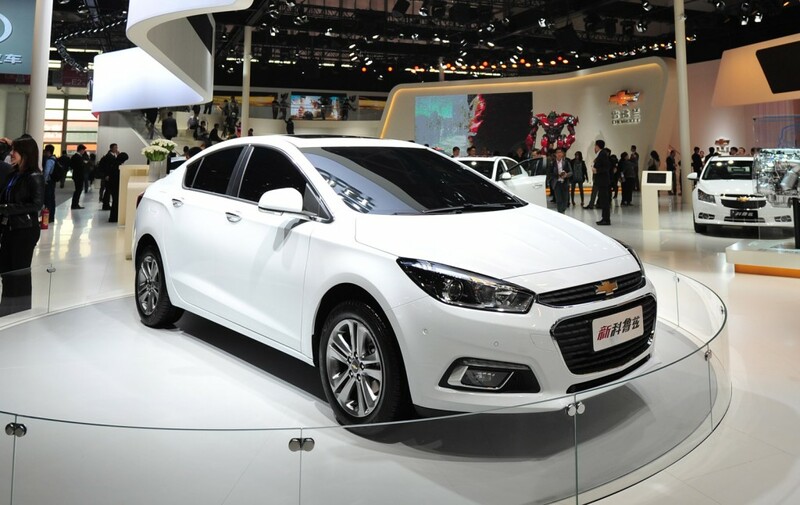 The rest of the lineup is likely to adopt GM’s new small-engine architecture; in Beijing, the Chinese car showcased a more powerful 1.4-liter turbocharged four-cylinder and a naturally aspirated 1.5-liter four. Transmission choices should include a six-speed manual and a six-speed automatic, with a seven-speed dual-clutch automatic among the more exotic possibilities.